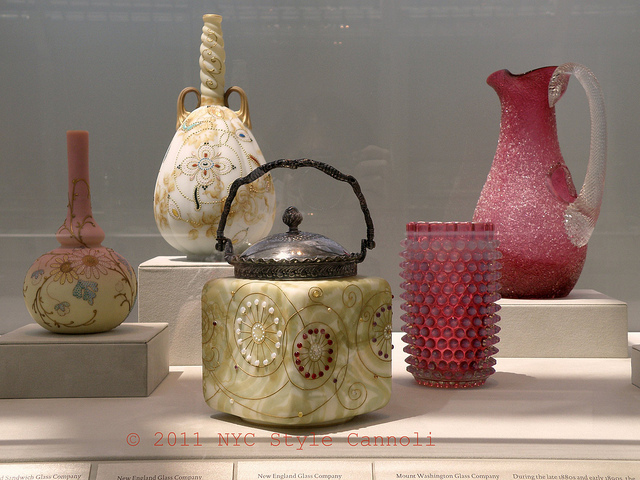 Photo Gallery Thursday "Vintage Vases at the Metropolitan Museum of Art"
The Met is one of the best museums in the world. You can spend all day in the place and not see everything. These vases really caught my eye walking around one day and I had to take their photo. Some exhibits do not allow photography but many items can be photographed. I always ask first if I am unsure. Enjoy !! Wow, very pretty :) I'd love to visit The Met one day! It is a must see place in NYC! I just love it..great to just walk around and not have a time limit...so much to see!! Beautiful works of art that are in the right place where they can be cherished. Thanks for the photo! I agree Susan as hate to see things split up and sold when they should be in museums for all to enjoy. These were just so lovely! !